This whitepaper introduces the MPI-3 shared memory feature, the corresponding APIs, and a sample program to illustrate the use of MPI-3 shared memory in the Intel® Xeon Phi™ processor. MPI-3 shared memory is a feature introduced in version 3.0 of the message passing interface (MPI) standard. 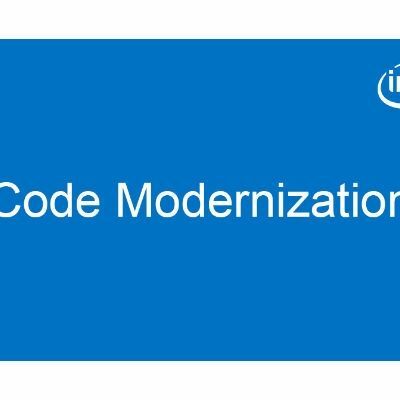 It is implemented in Intel® MPI Library version 5.0.2 and beyond. MPI-3 shared memory allows multiple MPI processes to allocate and have access to the shared memory in a compute node. For applications that require multiple MPI processes to exchange huge local data, this feature reduces the memory footprint and can improve performance significantly. In the MPI standard, each MPI process has its own address space. With MPI-3 shared memory, each MPI process exposes its own memory to other processes. The following figure illustrates the concept of shared memory: Each MPI process allocates and maintains its own local memory, and exposes a portion of its memory to the shared memory region. All processes then can have access to the shared memory region. Using the shared memory feature, users can reduce the data exchange among the processes. By default, the memory created by an MPI process is private. It is best to use MPI-3 shared memory when only memory needs to be shared and all other resources remain private. As each process has access to the shared memory region, users need to pay attention to process synchronization when using shared memory. In this section, sample code is provided to illustrate the use of MPI-3 shared memory. where An is the long array belonging to the process n, and An [j] is the value of the element j in the array belonging to the process n. In this program, since each process exposes it to local memory, all processes can have access to all arrays, although each process just needs the two neighbor arrays (for example, process 0 needs data from processes 1 and 7, process 1 needs data from processes 0 and 2,…). MPI_Comm_split_type: Used to create a new communicator where all processes share a common property. In this case, we pass MPI_COMM_TYPE_SHARED as an argument in order to create a shared memory from a parent communicator such as MPI_COMM_WORLD, and decompose the communicator into a shared memory communicator shmcomm. MPI_Win_allocate_shared: Used to create a shared memory that is accessible by all processes in the shared memory communicator. Each process exposes its local memory to all other processes, and the size of the local memory allocated by each process can be different. By default, the total shared memory is allocated contiguously. The user can pass an info hint “alloc_shared_noncontig” to specify that the shared memory does not have to be contiguous, which can cause performance improvement, depending on the underlying hardware architecture. MPI_Win_free: Used to release the memory. MPI_Win_shared_query: Used to query the address of the shared memory of an MPI process. MPI_Win_lock_all and MPI_Win_unlock_all: Used to start an access epoch to all processes in the window. Only shared epochs are needed. The calling process can access the shared memory on all processes. MPI_Win_sync: Used to ensure the completion of copying the local memory to the shared memory. MPI_Barrier: Used to block the caller process on the node until all processes reach a barrier. The barrier synchronization API works across all processes. This simple optimization technique greatly improves performance speeds. This whitepaper introduced the MPI-3 shared memory feature, followed by sample code, which used MPI-3 shared memory APIs. The pseudo-code explained what the program is doing along with an explanation of shared memory APIs. The program ran on an Intel Xeon Phi processor, and it was further optimized with simple techniques. what is the use of ROM memory in smartphones ? How to use file manager in nokia 820?